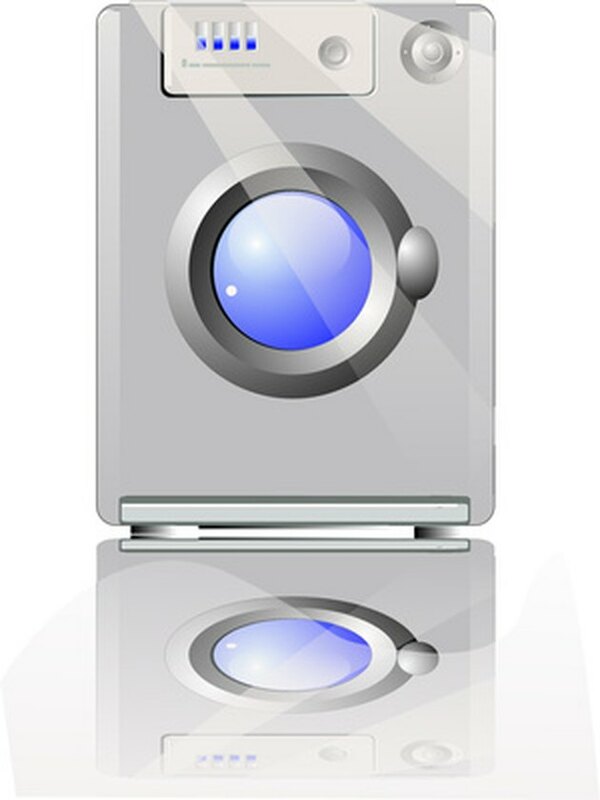 Front loading washing machines have become more available in America in recent years and so have issues related to their use. The washers seem to have a few consistent problems that arise due to their construction and the manner in which they function. Homeowners who are considering a switch to a front loading washer should look into potential problems before making a purchase as foresight can prevent or help alleviate some of these issues. Front loading washers require an ounce of prevention. One problem homeowners may not think about when switching from a top loading washer to a front loading version is the need to bend over to work with the machine. Users may have to stoop or squat to reach inside the machine to retrieve clothes. A wet, heavy load is difficult to manage or causes a strain or injury. Users may need to adopt an unsafe posture and pull or lift in a manner their muscles and joints are not used to. The stooped position itself can also lead to a muscle pull or back problem. People who have limited movement or ongoing or chronic back issues may want to ensure their condition will allow them to use the machine before making a purchase. The seal that fits around the circumference of the door on a front loading washer prevents the wash water from seeping out onto the floor. This is a prime location where moisture becomes trapped, leading to a form of mold and mildew buildup peculiar to front loading washers. Mold and mildew can accumulate and grow in even small amounts of standing water. Users often must remove the growth by hand, and its presence can stain the gasket and cause odor in these washing machines. Homeowners can dry the gasket with a towel, following a washing cycle, or leave the door slightly ajar to allow any extra moisture to evaporate, which is an inconvenience in homes where the washers are installed in cabinetry because often the cabinet door and machine door must remain open to vent the machine, impeding traffic flow through the space. Vibration is an issue with front loading washers, one especially conspicuous when the machine performs the rinse and spin cycle. Vibration can knock items off of shelves and counters, rattle the house and create a great amount of noise. Rubber pads made to dampen the noise are only sometimes effective at decreasing these effects. The pads primarily stop machines from "walking" across the floor due to vibration. The location of the machine and the type of surface beneath it influence the amount of noise produced. The more solid the foundation or flooring beneath the washer, the less noise and vibration will affect the structure around it.